Joe Buck is a lot of things, but lazy does not appear to be one of them. He will work both the San Francisco 49ers-New York Giants game at 4:25 p.m. and the San Francisco Giants-St. Louis Cardinals game at 8:15 p.m. (both times eastern). Candlestick Park, where the 49ers play, is in the southeastern corner of the city and AT&T Park, where the Giants play, is in the northeastern part of the city. Buck plans to arrive by cable car at AT&T Park after calling the football Giants' game. But what if he is late, or the football game goes into overtime? 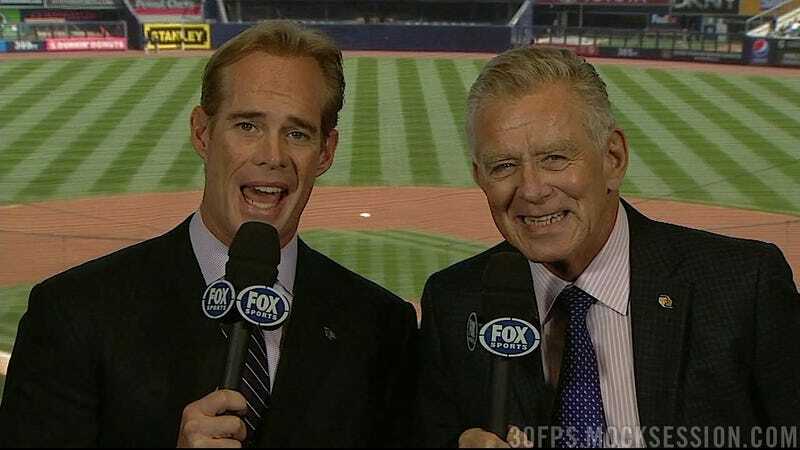 Fox will have a Joe Buck understudy to fill in while he hustles over to AT&T park, right?